The evolution of graffiti has created new challenges for business owners and property managers alike. Permanent damage caused by scratching, carving and acid etching are on the rise. Retail store owners and a wide variety of other private companies all require protection from vandals etching their graffiti on windows with abrasive materials. 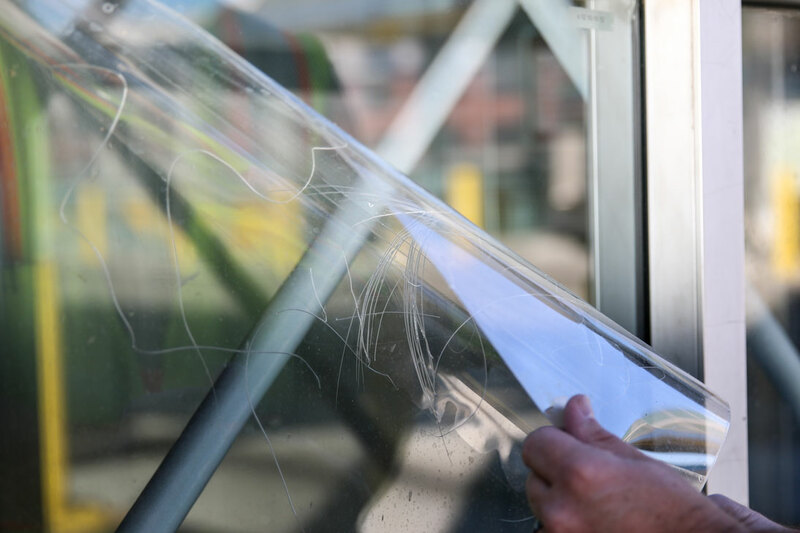 Through the installation of a clear sacrificial film, permanent glass damage caused by graffiti vandalism can be prevented. If vandalism occurs, the film can be easily removed and replaced to achieve a new window without costly glass replacement. Think of it as a giant, clear, thick Post It Note on your glass. As soon as it is vandalized, we simply remove it and replace it. Your glass remains untouched.